Thank you, Sir Joey [Sescon] for giving me carte blanche to focus on any topic; hence, I opt for “Mindanao Studies: A Proposed Framework”. In continuing this conversation started by Br. 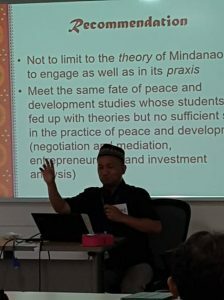 Karl [Gaspar], I shall give an introductory anecdote, then state the existing conceptual framework in the study of Mindanao. Thereafter, I shall propose an alternative framework. After laying down this proposed framework, I shall talk about the ‘target profile’ to be followed by the objectives. Then I will proceed with my recommendation and finally make my concluding remarks. 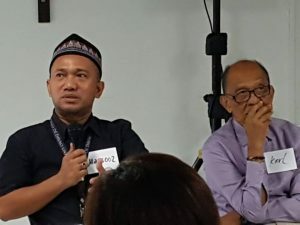 In October 2016 at the Philippine Sociological Society (PSS) Conference here in Davao City, the said student presented a paper entitled “Bay‘ah: The Missing Link in the Military’s Denial of ISIS’ Presence in the Philippines” (see http://mlimba.com/bayah-the-missing-link-in-the-militarys-denial-of-isis). At the end of the presentation, a lady professor who claimed to be connected with the military intelligence stood up and confidently dismissed the presentation’s thesis (ISIS’ presence in the country). 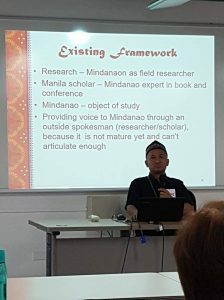 As I see it, this anecdote is a glaring example of the existing conceptual framework in which in the field of research on Mindanao, the Mindanaon is just a field researcher, research assistant or transcriber, while the Manila-based scholar or professor is the Mindanao expert in published books and conferences. Within this framework, Mindanao is treated as an object of study, and Mindanao Studies program is seen as an attempt to provide ‘voice’ to Mindanao through an outside spokesman, who happens to be the Manila-based author or professor. This is because Mindanao is not mature yet and can’t articulate enough. What we humbly proposed is a framework in which Mindanao is a subject. Under this framework, Mindanao Studies program is considered an attempt to provide ‘voice’ to Mindanao by letting it speak for itself. 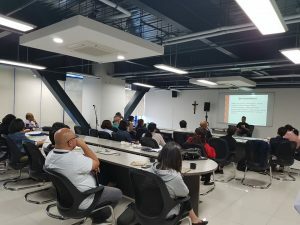 Here, Mindanao is no longer treated as mere object of study but subject as well. Having this framework, Mindanao will tell stories about the mosaic of its peoples as diverse as its water current and waves and yet as united as its rivers and the seas that surround it are. 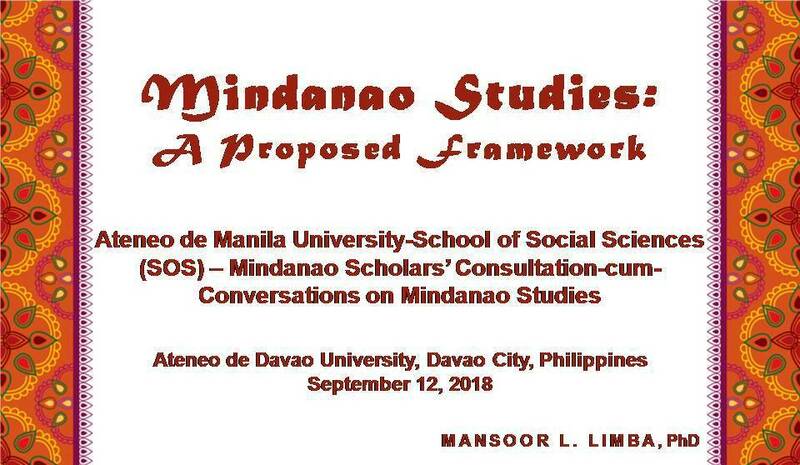 As among its objectives, the Mindanao Studies program is supposed to help in (1) the formation of a national motto or slogan (By the way, do we have already a national motto such as Pancasila of Indonesia? Our Panatang Makabayan is too long to memorize, let alone internalize; for the millennials, that which is more akin to a hashtag or tagline is more appealing). The program should also be in tune with (2) the inculcation of national core values (such as patrimony, respect for diversity, acknowledgment of national history as a product of many local histories, and others). Obviously, it should also (3) contribute to nation-building and development through the discovery, promotion and utilization of Mindanao potentials and strengths. 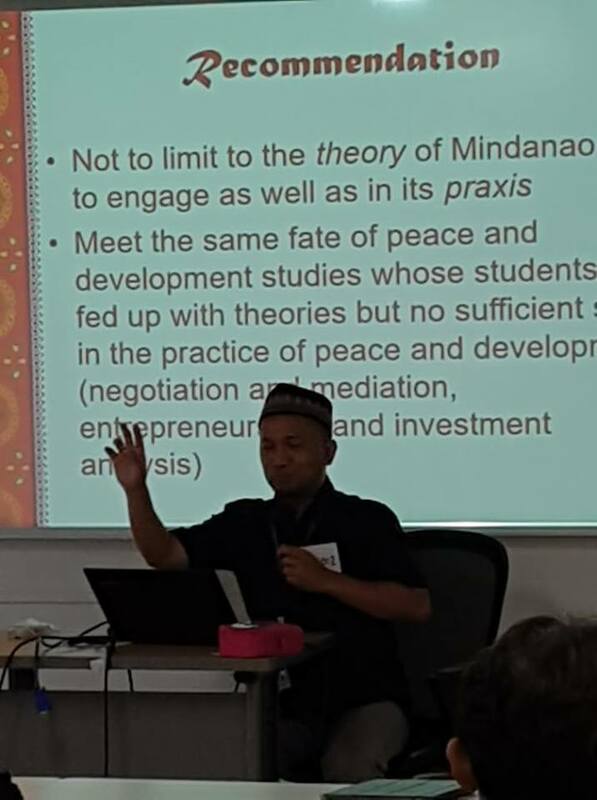 One recommendation for this program is that it should not limit the students to the theory of Mindanao but to engage them as well in its praxis, or else, it will definitely meet the same fate of peace and development studies programs whose students are fed up with concepts and theories but no sufficient skills in the actual practice of peace and development (for example, skills about negotiation and mediation, entrepreneurship, and investment analysis, among others).